Share this product and receive a $12.11 sharing discount. 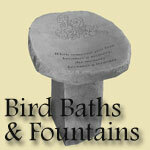 Memorial garden bird baths provide a lasting tribute to your loved one. The cast stone bath is weatherproof and durable for all seasons. we hold in our hearts forever." 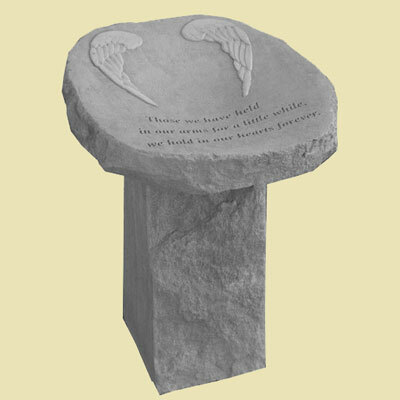 Measures 16" x 15" x 20.5"
This has been made of cast stone in Saxonburg PA. It is made to be weatherproof & guaranteed to last a lifetime. This product is shipped directly from the manufacturer in PA. Please allow 10-15 days for order processing. The item will ship via UPS and will take the number dates estimated on the shipping screen.